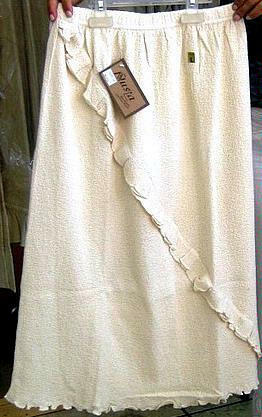 Elegant white Skirt from Nusta 100% pure pima cotton. All sizes in stock,please write us an email with the size you need. x-small small medium large x-large Nusta is the most famous manufacturer for pima cotton Fashion in Peru. The typical Nusta Style is based on keeping an Ancestors Inca textile line. The weave,warp,and geometric designs are characteristics of peruvian Textile. All our Garments are made with the best pure peruvian cotton, which is one of the best worldwide. We are working close with Nusta and sell since some years this wonderful Fashion around the world. Pima cotton is the best one you can find!